When you're on the Fleet Map just click on a stopped transponder to get its latest street address. Browse a vehicle's past with the CarmaLink History page to find street addresses for deliveries, service appointments, and more. Match up your invoices, deliveries, gas purchases, supply stops and more to actual addresses and business names. Thank you to all of our customers who requested this! Many CarmaLink users do not shut their engines off when making deliveries. We listened to this input and have incorporated a new type of event called a "Stop" into our website and email reporting system. Stops are automatically detected by a brief period of inactivity from a vehicle while the engine is running. We have analyzed years of driving data to make this as simple and as easy as possible for you to use right out of the box. To make these new Stop events even better, we also made sure to include our new Street Address lookup functionality with each Stop that's made. The internal logic in our website now looks for vehicle updates twice as fast. This means you'll see updated vehicle data sooner on the main Fleet Map. This was made possible by our move to the cutting edge Google Cloud Platform. Look for even more speed updates in the future, including near-realtime fleet map updates driven by a new partnership with Transfinder and some fantastic work by our engineering team! Our ELD customers will now receive alerts in their Daily Report regarding Unidentified Driving Records being generated by any vehicles with CarmaLink ELD installed. This will assist any fleet with ELD requirements to maintain FMCSA compliance. 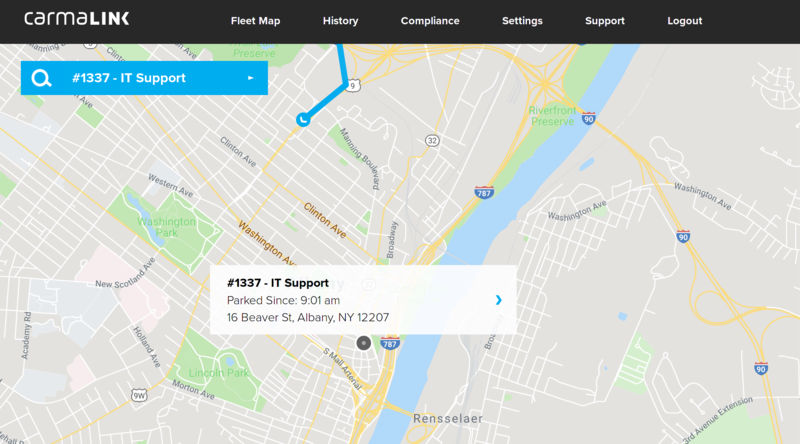 Unidentified Driver information is also available on the CarmaLink ELD "Compliance" page when searching for any vehicle related regulatory data. 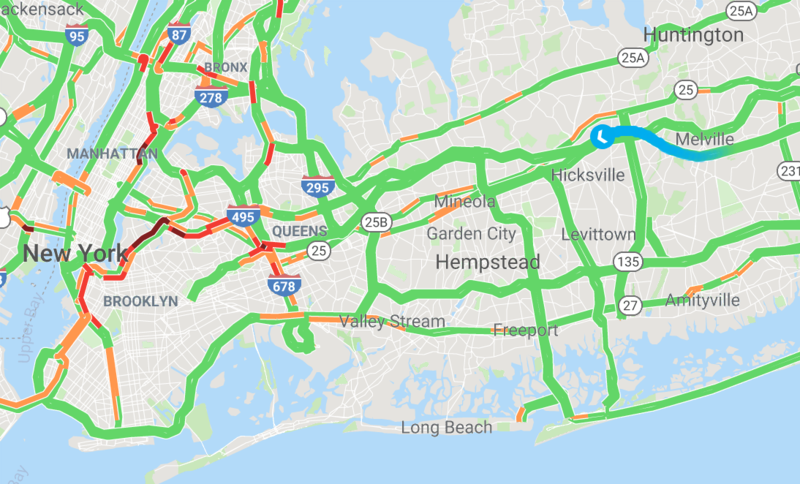 Those of you who use the CarmaLink website for dispatch asked about adding live traffic information to the website, and it's here! The traffic layer is automatically turned on from 5-9 am and 4-7pm. This will help prevent valuable time from being wasted when attempting to dispatch a driver who might need to travel through a highly congested area vs. another driver who is on the other side of traffic and could get there much sooner. Neat! Garmin in-vehicle tablets can also provide live traffic information to drivers through the Garmin navigation and routing interface. The future of CarmaLink is you! We are looking to solve your biggest fleet & business problems in 2019. There are a number of products in the works that will help our customers increase safety, reduce time spent on paperwork, assist with disaster recovery, and spread brand awareness. CarmaLink has been in the business of providing fleet technology to demanding small and medium sized organizations for over a decade. Let us help solve your biggest fleet-related headaches in 2019!